If you're anything like me, then you're a major procrastinator, and for us procrastinators, holidays seem to approach extremely fast. For instance, Valentines Day is in two days. This isn't that big of a deal for me, since I don't have a significant other, but for those of you who are procrastinators and also happen to be in a relationship, I feel for you. But let's make a hard situation just a little bit harder and throw a vegan diet into the mix. Vegans can't just walk into CVS at 7 am on February 14th and grab a box of chocolate.. nope. That would be too easy. Vegans need to plan ahead of time, and we already established the procrastinating problem, so what's the solution? Amazon Prime. For all of you procrastinating vegans out there with a significant other, I did you a major solid this Valentine's Day. 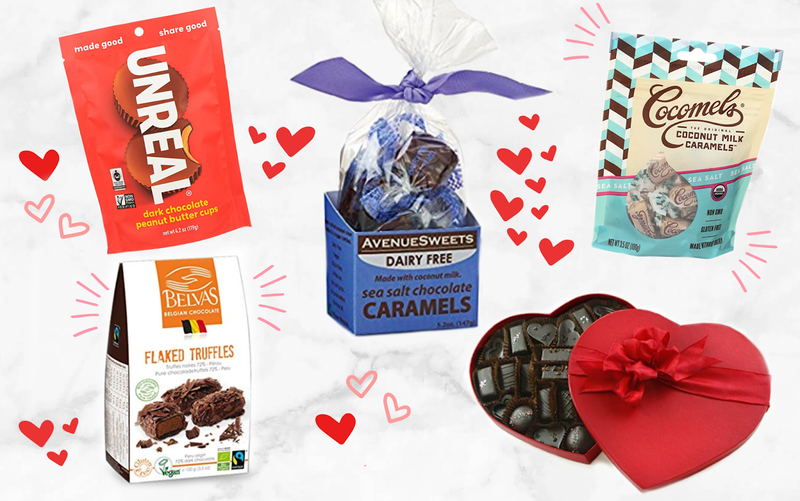 I made you a nifty little list of some of the best vegan chocolate that Amazon Prime has to offer. No need to panic. If you order now, your Valentine's Day will be great. Crisis averted. Some I've tried, some I'm dying to try, but all are definitely vegan. What's your favorite vegan chocolate?